Synopsis: When the ghoulish Bergens invade the Troll Village to steal its citizens for their annual Trollstice Feast, Princess Poppy recruits fellow villager/hermit/doomsday prepper Branch to journey to Bergen Town to rescue her friends. I honestly don’t know what I was expecting from this movie, but it was definitely girlier than I anticipated. Maybe it was something about the metallic trolls farting glitter or the hugging/singing/dancing nature of the trolls themselves. Sadly, even Branch’s depressed mood and color scheme didn’t do much in the way of making it less girly. Nonetheless, the film’s upbeat energy and the character’s happy-go-lucky attitude is truly infectious even in the most dire of circumstances. Poppy’s self-confidence and positivity sharply contrasts with Branch’s curmudgeonly demeanor, even when he agrees to help Poppy save her friends from certain doom. The Bergens themselves are just as depressed: their only true joy comes from the consumption of Trolls once a year and, as King Gristle Sr. tells his son, there is no other way to be happy. In their own ways, both the Trolls and the Bergens are searching for happiness, but it seems that only one truly knows how to achieve it. While there are part of the movie that seem trite and overly optimistic, the message of perseverance is one that resonates with viewers of all ages and encourages us to see the bright side of life. Walt Disney Animation Studios, 2016. Rated PG. I’m always a fan of ancient cultures and myths being woven into our more modern tapestry. In a lot of ways, I feel like this puts us more in touch with the world at large and gives insight into where we came from, and perhaps more importantly, where we will go. There’s also something to be said about the message that while it might be uncomfortable to leave home/safe spaces/the familiar, we can achieve even more both personally and culturally when we stray off a beaten path. I’m reminded of the Laurel Thatcher Ulrich quote, “Well-behaved women seldom make history”. In many respects, Moana is a well-behaved young lady: she desires to do what is best for her people and to follow the path that has been determined for her. And yet, she is still plagued by the classic dilemma of doing what is right by her family and doing what she feels is right for her, to help her become the woman she wants to be. Clearly her desire to get in touch with her voyager roots and venture beyond the island reef wins out, or this would have been a short movie. And like the Disney heroines before her, there’s a couple of musical numbers that assert her confidence in her decision to venture out on the ocean and the uncertainty of the success her journey may or may not bring. She still has moments of despair, but it is her stubbornness and quick wit that help her push through the obstacles that hinder her voyage. Despite the range of reactions to Moana, I feel like the film did a credit to the Polynesian culture and made it come even more alive for the viewer. I liked that native dialects were used in some of the songs and that the animators made trips through the islands in the South Pacific to do their research. It’s a coming-of-age story that encourages us once again to discover who we are inside and how we can share our purpose and passions with the world around us. Every year, after we are entirely too full of food to do anything but stare blankly at the wall, my family gathers around the television and watch “Miracle on 34th Street”. It seems a little contradictory to me now that we sit in front of a screen rather than continuing to talk about what is going on in our lives. But we are there, and we are together, and that’s part of what makes the holiday special. I’ve compiled a list of my favorite holiday movies this year: some classics, some staples (the ones that are broadcast like clockwork every year), and some new favorites. And even if your holiday traditions don’t involve sitting in front of the television with people you may only see once a year, cherish the traditions and the time you have with the people you love. 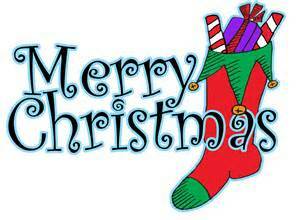 Whatever you do and however you celebrate the season, be safe, be merry, and have a wonderful holiday! 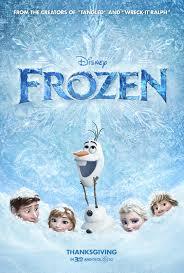 Synopsis: Growing up, Anna and her sister Elsa were very close. Then after Elsa hurts Anna while they are playing, she is kept away from her sister so that her ability to create ice and snow can remain a secret. But when Elsa turns her little kingdom of Arendelle into a winter wonderland, Anna must enlist the help of Iceman Kristoff, his reindeer Sven, and a snowman named Olaf to convince Elsa to melt the snow and come home. Based on the Hans Christian Andersen story, The Snow Queen, Frozen draws from its original source materials to create a distinctly Bavarian feel to the scenery and harkens back to its Disney predecessors and turns the story into a charming musical about selfless love and doing the right thing. There is a certain spell cast by this movie even before it begins, and if it were to be solely judged on the animation, it would be getting high marks. The setting is both beautiful and dangerous, as the viewer comes to understand what Elsa can do when her powers are out of control. The image of a glowing ice castle set into the side of a mountain and the idyllic scenes of snowy woods and isolated chateaus give the setting and scenery a bit of a tourist-in-the-frozen-North sort of image and in some scenes adds to the humor of the story. The relationship between Anna and Elsa is special, as we can tell from the first scenes, but when Elsa is whisked out of Anna’s life, it is her pleas for company (“Do you want to build a snowman?”) that are the most heartbreaking. Anna is a very determined young lady, willing to do anything for her sister and to understand why she has been kept at arm’s length. Elsa lives in fear of becoming the monster she believes she is, and this fear is what drives her character for most of the film. She is so afraid of hurting people that she can’t seem to let in the one person – Anna – that she needs to help curb the fierceness of her powers. Kristoff, Sven, and Olaf are a great comic team: Kristoff might be kind of a weirdo (he has conversations with Sven, who it would appear can ‘talk’ back), but he shares Anna’s spirit and desire to do the right thing; Olaf is a snowman that likes warm hugs who wishes for summer and is adorably clueless as to what can happen when something cold is exposed to heat. It’s a sweet story that is fun for the whole family. Synopsis: Tori Vega is hoping to start over fresh at a new school:HollywoodArtsHigh School, where everyone is learning how to polish their acting, singing, painting, and performing skills in order to become stars! Tori hopes things will be easy, but high school is never easy, and she is going to need the help of new friends to help her become the star she is on the inside shine on the outside. Victoria Justice is a talented singer and actress, but that isn’t what makes the show. True, the show is centered around her escapades as a high school student looking to become a star and move out of the shadow of her older sister, but it seems like there should be more to it than that. The characters are all likable and have their own quirks that help Tori work her way through the high school maze, but I think what I like most about the show is its almost complete lack of realism. I can’t see parents letting their children make random trips across the country, down toSan Diego, or some of the other shenanigans these kids get away with, but I can appreciate the role of the few adult figures that do make an appearance on the show to help guide the students. The humor is a little off the wall and the musical numbers and sometimes out of place, but that is just part of the charm of the show – escapism at its finest. 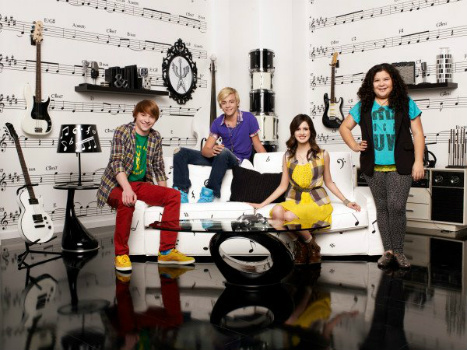 Synopsis: Shy Ally works in her father’s music store, Sonic Boom, and dreams about going into the music business. Ally’s father believes she has a one in a million chance to make it in the music industry, but this doesn’t stop Ally from writing songs on her piano. Austin is a talented singer who is also hoping to make it big in the music industry, and after he finds one of Ally’s songs in her practice room, he becomes the next big thing. Angry that she is not given credit for the song, she confronts Austin about stealing her song. Austin tells her that he can’t write his own music and that he needs her help and talent. Ally reluctantly agrees, and the two work together to write Austin’s next big hit. This new Disney Channel series is cute, funny, and has a lot of potential. Because of the lack of adults in the pilot episode (we see Ally’s father briefly at the beginning as well an adult female talk show host), I have a feeling they are not going to have a huge role in this new series, and if they do, it will be partially for comic relief. Marano and Lynch play well off of each other and the two have great chemistry. The dynamics between the girls (Marano and Rodriguez) and the boys (Lynch and Worthy) are equally enjoyable, and I also had to laugh at Marano’s characterization of being ‘the reasonable one’ in contrast to Lynch’s happy-go-lucky. The show has the feel of a cool teen sitcom about kids who are doing everything to follow their dreams (I am sensing a theme in Disney Channel shows, here….) and hope the show continues to blossom into a promising new series. Walt Disney Studios, 2011. Rated G.
Synopsis: When five freshman meet in detention and decide to mess around with some of the musical instruments, they find they at least have a passion for music in common. Competing against the school’s more popular student band Mudslide Crush and a principal more concerned with sports, Olivia, Stella, Wen, Mohini, and Charlie set out to find a way to create a sense of equality and go for their dreams. 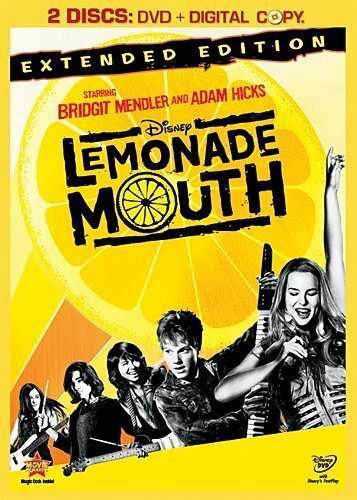 Based on a book of the same name, Lemonade Mouth takes a story about a high school garage band to a different level promoting a sense of friendship and the desire to follow one’s dreams despite life’s setbacks. Disney alums Bridgit Mendler (Good Luck Charlie) and Adam Hicks (Zeke and Luther) lead the cast of teens trying to overcome high school stereotypes and make the most of what little the school has to offer them. I was impressed with the cast’s singing and playing abilities (or, at least the ability to make it look like they knew how to play their instruments) and the musical numbers were catchy and positive. The friendship that develops between the five band members was intriguing in the sense that they realize they have things in common, but some of the scenarios felt forced and fake. The secondary characters were likable, but mostly seemed two-dimensional in relation to the rest of the cast – they have a purpose on helping to move the story along, but have no function in really helping the band realize what they have to do to achieve their goals. The movie slows down dramatically at the end, which was disappointing, but the ending scene is energetic and engaging.